Founder of SQLAuthority.com and developer for Pluralsight, Pinal Dave, reviewed OfficeWriter’s SSRS integration. Below is an excerpt from his blog post. To read the full review click here. The OfficeWriter API is a .NET library by SoftArtisans that makes it easy for developers to add Excel and Word reporting and document processing to their own applications. OfficeWriter allows users to take data from any data source and turn reports into dynamic, visual presentations. Without requiring Microsoft Office on the server, OfficeWriter is optimized for high-performance, scalable server use. The .NET API integrates with business applications, including those in SSRS and SharePoint. 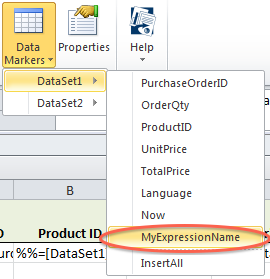 Why use OfficeWriter’s API with SQL Server Reporting Services (SSRS)? The default rendering extensions for Reporting Services deliver flat, static output. In order to render for multiple extensions such as HTML and PDF, the basic report design in SSRS cannot accommodate specific features, such as multiple worksheets in Excel. This also means that certain features like charts cannot be dynamic in the output because not all of the rendering extensions in SSRS support Excel charts. Therefore, charts are exported as images. Additionally, until SSRS 2008 R2, there wasn’t a default rendering extension for Word. Before SSRS 2012 there was no means of exporting to XLSX or DOCX. Using OfficeWriter for Reporting Services corrects these limitations, allowing end-users to design reports in Excel and Word and make use of many specific features in those applications. OfficeWriter fits into SSRS with two parts. First, the OfficeWriter Renderer is a server-side rendering extension for Excel and Word, providing Excel and Word features beyond the built-in SSRS export options. Second, the OfficeWriter Designer is a client-side add-in for Excel and Word, which allows users to design reports that utilize the OfficeWriter rendering extensions. Learn how OfficeWriter can put data in the hands of your business users. When: Friday, October 18th at 1 P.M.
We’re looking at what the average American spends on Halloween each year from costumes to candy to decorations. Importing this data into Excel using OfficeWriter, we’ll see which costumes outrank the rest. Is it Miley Cyrus, your favorite decade garb, or the ever-popular witches and ghosts? We’ll find out, along with what Americans spend on these once-a-year ensembles, mounds of candy, and gobs of decorations. You’ll take away new tricks for creating reports in Excel and maybe a DIY Halloween costume idea or two. The .NET Framework 4.5 introduced a simplified approach to the task-based asynchronous programming model (which was introduced as part of the Task Parallel Library API in .NET 4.0) via the utilization of the two new keywords: “async” and “await” in C# (Async and Await in VB.NET). For detailed information, see Asynchronous Programming with Async and Await (C# and Visual Basic) on MSDN. 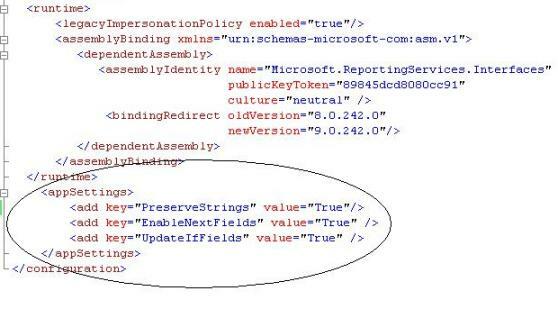 In this post, I’d like to show you how we could use these new keywords when making asynchronous calls to the SQL Server Reporting Services web service. For the purpose of simplicity, I created a very simple Windows Forms project in Visual Studio 2012 in which I just have one button which invokes the SSRS web service in the click event handler. First we need to make sure the target framework for the project is set to .NET 4.5 in Visual Studio 2012 (from the project properties). Then we add a service reference to the SSRS web service. This part is a little tricky. 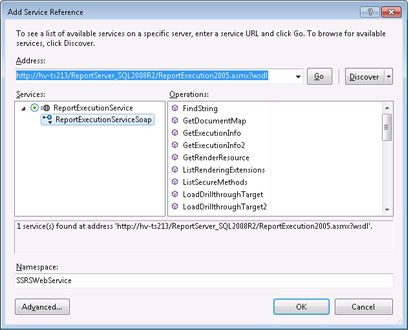 In the “Add Service Reference” dialog, after we put in the URL of the ReportExecution2005.asmx file of the Reporting Services into the Address box and locate the service, in the “Services” panel it should list the “ReportExecutionService” and if you expand that, it would show the “ReportExecutionServiceSoap” underneath. Here we select the Soap service. Then, after specifying a namespace for our reference (I just named it as “SSRSWebService”), we click on the “Advanced” button at the bottom which opens the “Service Reference Settings” dialog (as seen in the screenshots). 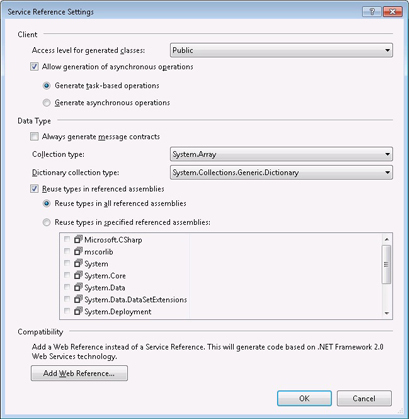 In this latter dialog, we will make sure the “Allow generation of asynchronous operations” is checked and the “Generate task-based operations” option is selected. What this does is that Visual Studio will generate the async methods for the SOAP proxy class by using the Task<> return types. Then we click “OK” and close the dialog. Here I would like to underline one key part. In the second step we added the reference to the SSRS web service as a “service reference” (just like a WCF service), not as the legacy web reference (which was the old way of adding web service references prior to .NET 3.5 and WCF). One other thing I want to point out is that here I am using the ReportExecutionServiceSoapClient proxy class, not the ReportExecutionService class which would have been the case had I added the ASMX reference as a legacy web reference. The interfaces exposed by SSRS differ slightly (different method signatures and different members) between when it is added as a WCF service (in this case it is the SoapClient) versus a legacy web reference. Since my goal is to use the new .NET 4.5 features, I had to create the service reference in the new WCF way. In keeping with my sports theme from March, on March Madness and predicting the NCAA tournament, it is time to look at this season’s sport: Baseball. As you might know, Major League Baseball’s All-Star game is tonight, so let’s use Excel to pick which league (the AL or NL) will be victorious, so we can kick back and enjoy the game. Baseball has long been associated with using stats to predict outcomes and player performances. This was made famous in the movie Moneyball, and has its own cottage industry around helping fantasy baseball players perform better. There is no shortage of information that can be gathered about baseball, with the whole industry even having deemed the term: sabermetrics. Before jumping into the vastness of data, however, I want to point out where we are getting the data from. There are many different sources for baseball stats, many requiring a fee, but I will be referring to the Sean Lahman Baseball Stats Database. It is open source, so you can just download a version that works for you, and run with it. I am only going to look at the players who have actually appeared in the All-Star game and their year’s performance. The other source of data is the year-to-date stats for the All-Star players. These can be gathered from the many, many sports sites (like ESPN.com), but is a manual process. I will leave it as an exercise for the reader to copy and paste those! You can find the sum of those in the example file attached. Just to simplify things, we are going to use the old standbys: Earned Run Averages (ERA) and Batting Averages (BA) to compare the two Major League Baseball leagues. The other consideration is to analyze data from just the “Long Ball Era,” which started in 1994. Since the sport has been around so very long, it helps to categorize the data so you get a better apples-to-apples comparison. 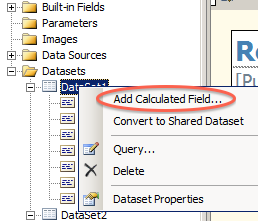 Reporting Services provides drill-down report behavior, where clicking on a populated data field generates another report based on the value of the data field clicked. This post addresses how to acheive similar behavior within Excel with OfficeWriter using Reporting Sevices URL access and Excel’s HYPERLINK function. When the OfficeWriter renderer populates the Excel report with data, it inserts new rows for each row of data. This means that all Excel formulas are updated, including the HYPERLINK function formula. This approach uses this formula update functionality and imported data values to dynamically create hyperlinks that point to the Reporting Services URLs. For the sake of example, “SalesReport” is the original report that contains a list of invoice IDs. “InvoiceReport” is the linked report that takes an InvoiceID as a parameter. Error SA008050: This report was not designed for the selected OfficeWriter rendering extension. Depending on configuration, Report Manager may also display a detailed error message and a stack trace. In this case, the error message is self-explanatory. However, often it is desirable to provide a friendly custom error page that hides the technical details of the internal exception and provides more helpful instructions to users. Configuring a custom error page for Report Manager is no different from doing so for other ASP.NET applications. The custom error page is simply a web page that you create. You can configure ASP.NET to display a custom error page to all users. Alternatively, the custom error page can be displayed only to users accessing Report Manager from a remote machine, which is usually the case in production. For users accessing Report Manager from the same machine, the full error would be displayed. Typically, a detailed error message is helpful for debugging purpose during development. Additionally, you can configure a custom error page to be displayed for specific HTTP status codes. For example, the OfficeWriter error above is an internal server error, which results in HTTP status code 500. Browse to Report Manager folder. For SSRS 2008 and SSRS 2008 R2, DRIVE:\Program Files\Microsoft SQL Server\MSRS10.SSRS\Reporting Services\ReportManager . The possible values for the mode attribute of the tag are Off, On, and RemoteOnly. The default is Off. In order to enable a custom error page, mode must be set to On or RemoteOnly. For example, the below section specifies the following: 1) a custom error page be displayed for remote users only, 2) a specific page for HTTP status code 500, and 3) a default page for all other HTTP status codes. Note that attributes are case-sensitive. Tune in next week Friday, June 28, 2013 at 1 P.M. for our June webinar as we give you another inside look at how OfficeWriter enhances SQL Server Reporting Services (SSRS), making your reports a home run. Senior Sales Engineer, Chad Evans, will walk you through using both single and multi-value parameters and formulas in SSRS. Using baseball data on players’ batting averages and salaries, this webinar is sure to impress. Don’t miss out! Seating is limited. *Can’t attend? Register anyway, and we’ll send a copy of the slides and recording following the webinar. You want to modify your reports with the WordApplication or ExcelApplication object after they’ve been populated with data by SQL Server Reporting Services. The ExcelApplication or WordApplication object’s Open method can’t pull a report from a report server, so how do you open a SSRS report with OfficeWriter? For simplicity and ease of reading the code examples and text in this article refer to the ExcelApplication object exclusively. However, the exact same techniques can be used with the WordApplication object. The only strict requirement for opening reports from SSRS is for the Open method to have an overload that takes a Stream argument, which both objects have. SQL Server Reporting Services exposes a web service that lets programs access and work with the reports on the server. The web service has a number of functions for interacting with a report server and in fact is the same API that the Report Manager tool is built on top of. One of its functions will let us retrieve a fully rendered report that we can then pass to the ExcelApplication object. 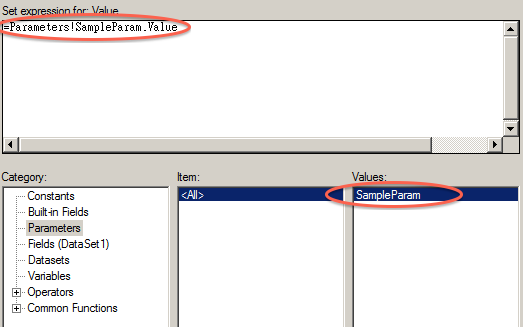 Once the ExcelApplication object has opened the report, it can be used as if it were any other file.